I thought it was about time we hopped in the car and headed to Altrincham Market, before it became one of those things. Y’know, when even your mum has been and she’s telling you how good the flat whites are and where to nab the best copper dishes. Before that. 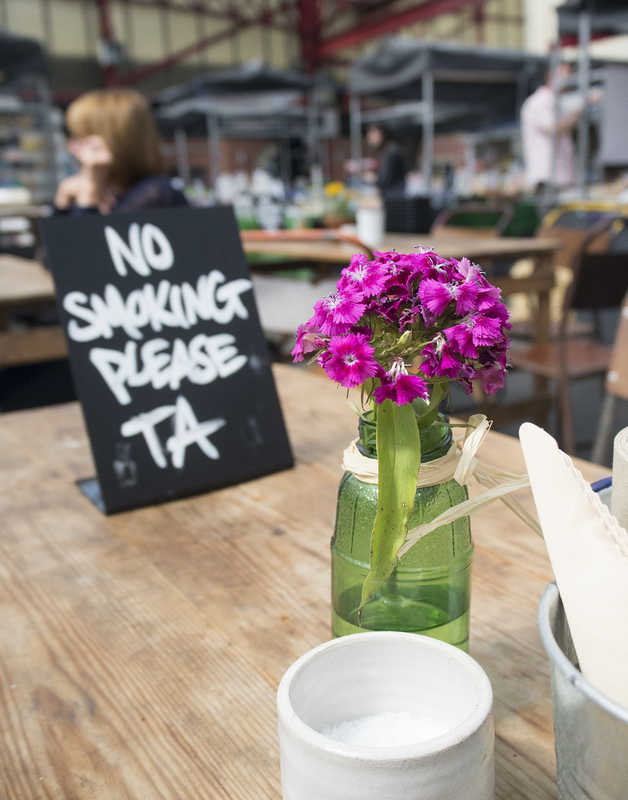 Altrincham Market consists of a 19th century covered market, with lots of independent stalls selling everything from bread to furniture. 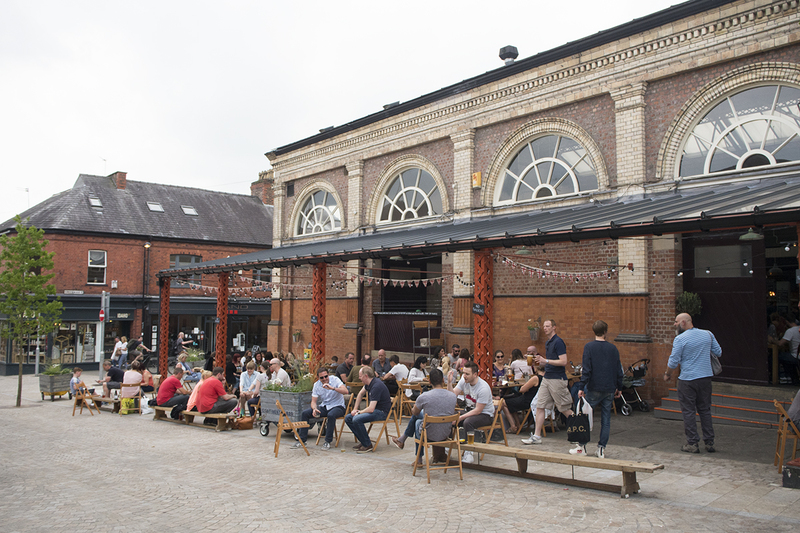 There’s also the most beautiful Grade II listed market house next to the market, which is now home to some amazing food & drink stalls and seats 180 people. Saturday was a glorious day up in Manchester, so we decided to kill two birds with one stone and head to the market, as well as the newly opened Rose & Grey interiors showroom. More on that one in another blog post though. 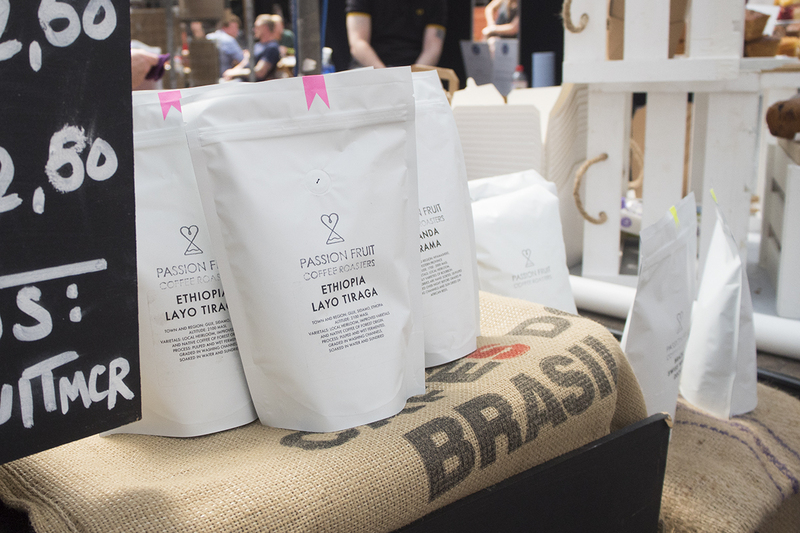 Let me tell you what all the fuss is about at Altrincham Market! 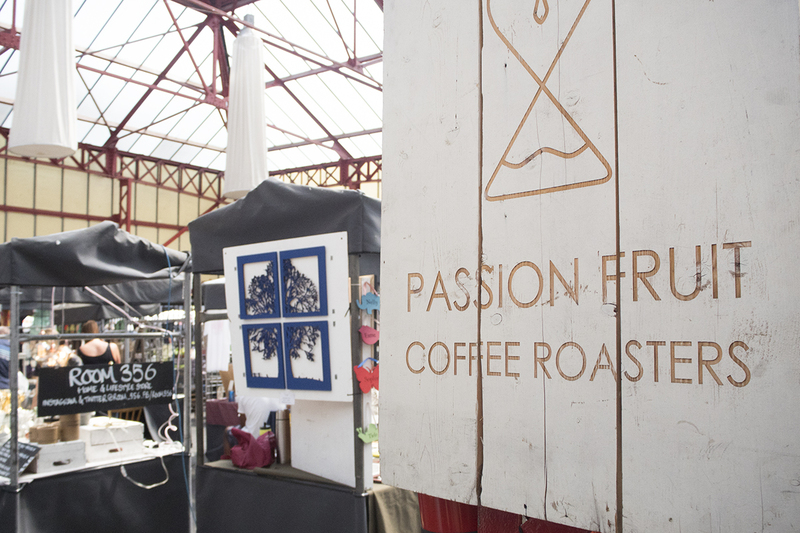 Now, it’s lovely to visit Altrincham Market on a sunny day but Saturday was just ridiculously hot. So dress in your best loose & airy clothing if you want to survive in the heat. I wore black jeans. Don’t do that in 28 degrees heat. We weren’t ready for an alcoholic drink straight away, so we headed for a brew to get us going for the afternoon. 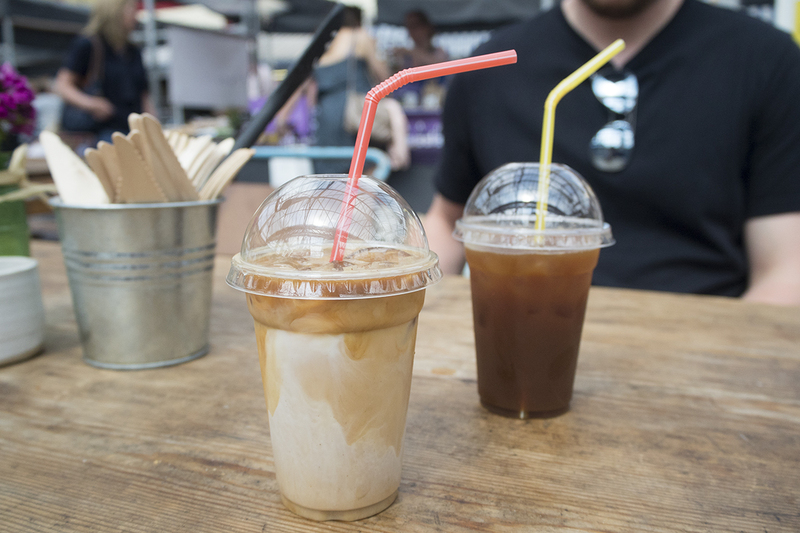 Thankfully, the lovely people at Passionfruit Coffee had iced drinks so we could cool down a little. Honestly, you guys know I love my artisan coffee these days, but even I’m partial to a Starbucks frappe when it’s ridiculously warm. Needs must. 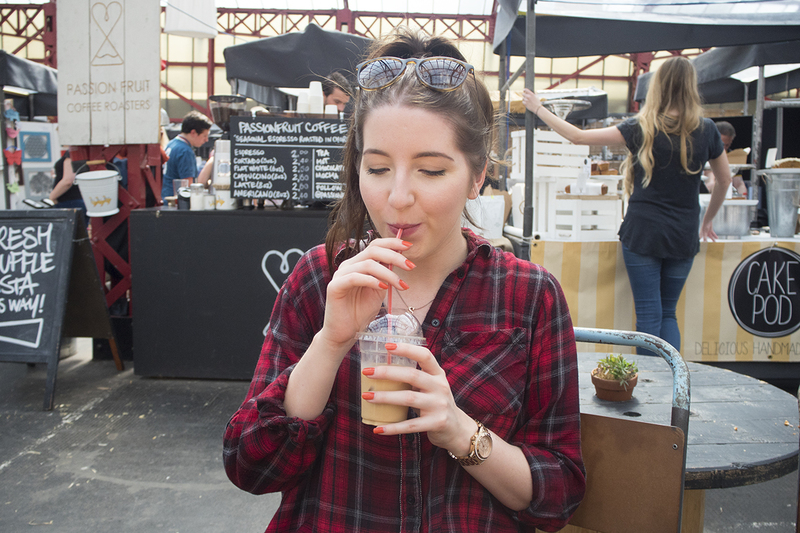 The iced latte, and even Mat’s iced americano, were amazing though. “The best I’ve ever had”, as Mat put it. The coffee had a lovely sweetness to it, without having to overload the drink with extra cream, rainbow sprinkles and 5 different syrups. Dreamy. 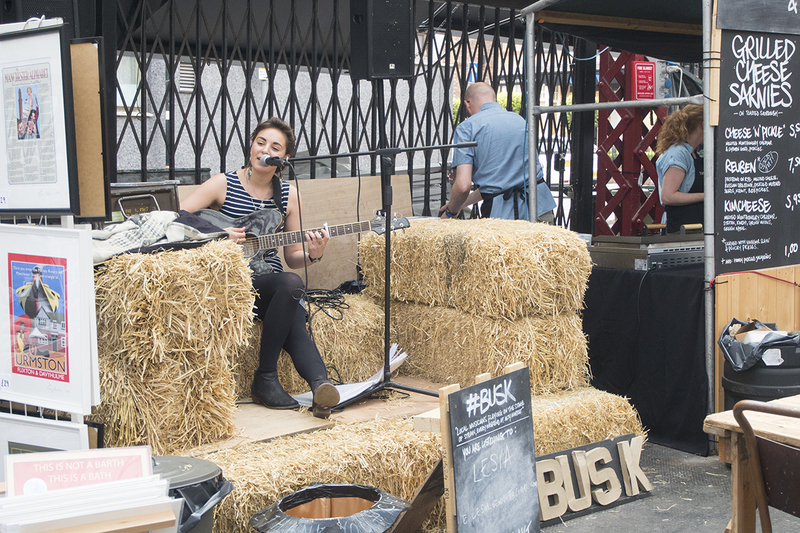 As you browse the market, or sit down for a coffee & some cake, there’s a stage where local musicians can entertain the crowds. I say crowds; it can get busy but it never feels busy. We were entertained by a lovely girl called Lesia who sounded amazing. Her voice was full of soul and she performed some beautiful singalong covers. It created such a calm and friendly atmosphere in the market, which we loved. Since we’re still in that awkward not-yet-fully-decorated stage of our new house, we were loving all of the little stalls selling homeware. Room 356 have a stall there for the month of June and they had so many beautiful bits that I had to try so hard not to buy. 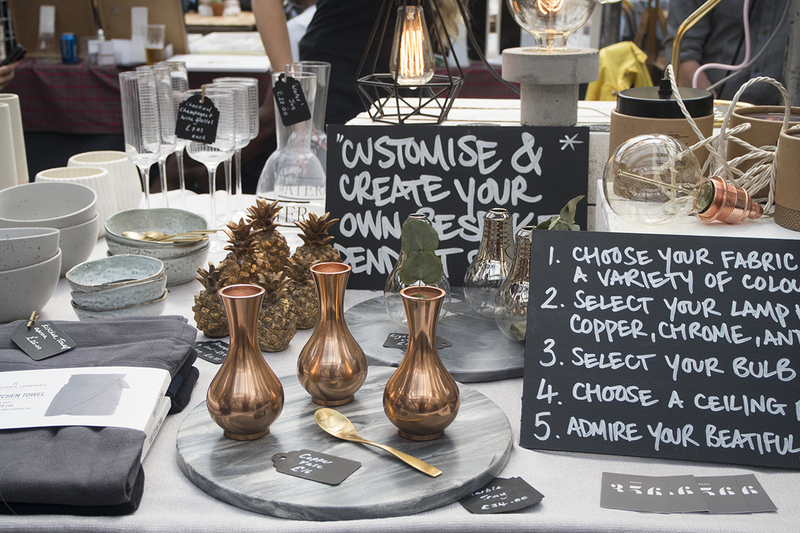 Marble trays, copper vases, pineapple shaped things and some beautiful glassware. I wanted it all. There was also another stall that really caught my eye owned by Filipski & Kirkus. 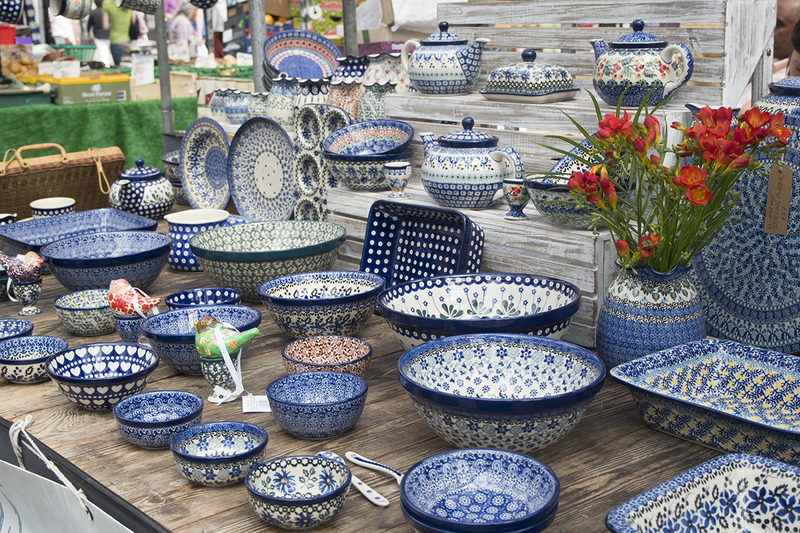 They sold some stunning blue & white handmade, hand painted Polish pottery pieces. I know it’s not to everyone’s taste, but I love this style of pottery and it’s so special to own something that has been carefully crafted with such attention to detail. Once we’d shopped to our heart’s content in the market and surrounding shops, we headed into the market house to suss out the food situation. Sadly, we went hunting for the Korean Fried Chicken Burger from Wolfhouse and they weren’t serving hot food from 4pm until 5.30pm. It’s meant to be amazing, so it’s on my list for next time. We made sure to nab a cinnamon bun from them before we left though, which was heavenly. In the end, we settled on Little Window, owned by the guys at Honest Pizza. 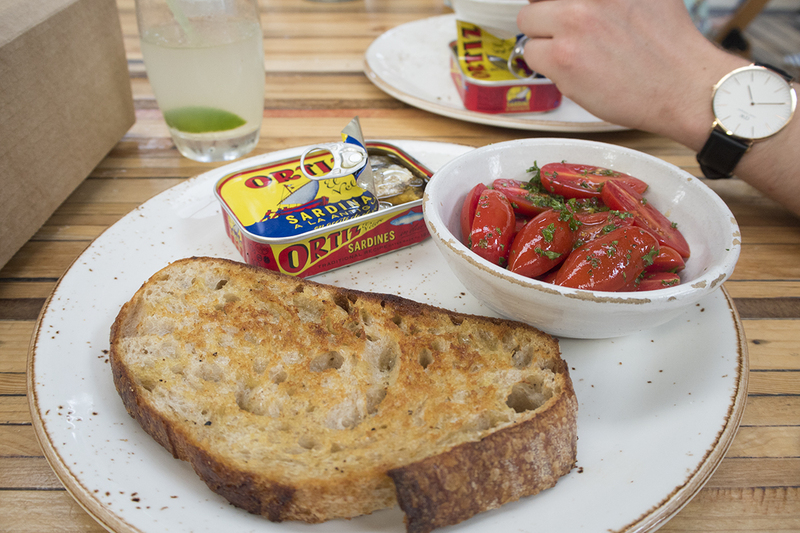 We both had the sardines with sourdough and fresh tomatoes. A simple but delicious combo that invited an envious comment from our table companions! If you need to wash that all down, Jack in the Box serves up some refreshing craft beers (and every flavour of San Pellegrino known to man) and Reserve Wines got ya back with their vast selection of wines. All in all, it was my ideal way to spend a sunny Saturday and we’ll definitely be back to try & buy even more! 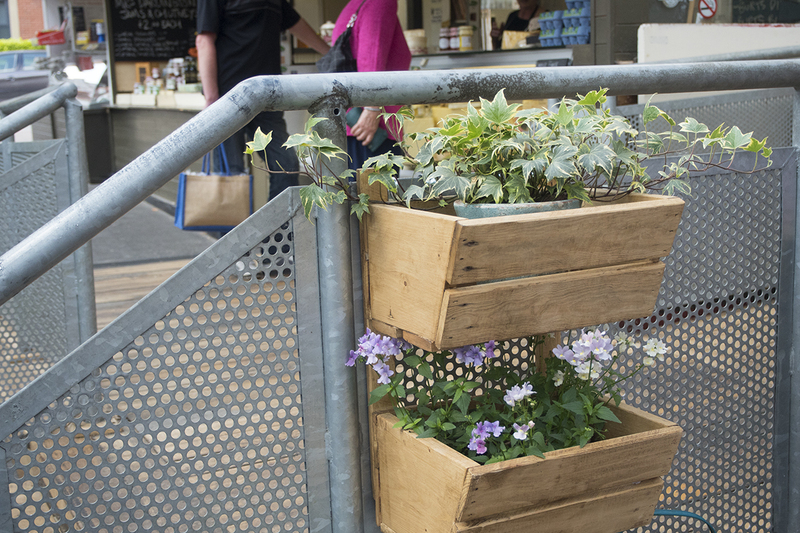 I just hope the UK takes notice and inspiration from what Altrincham Market have achieved here. 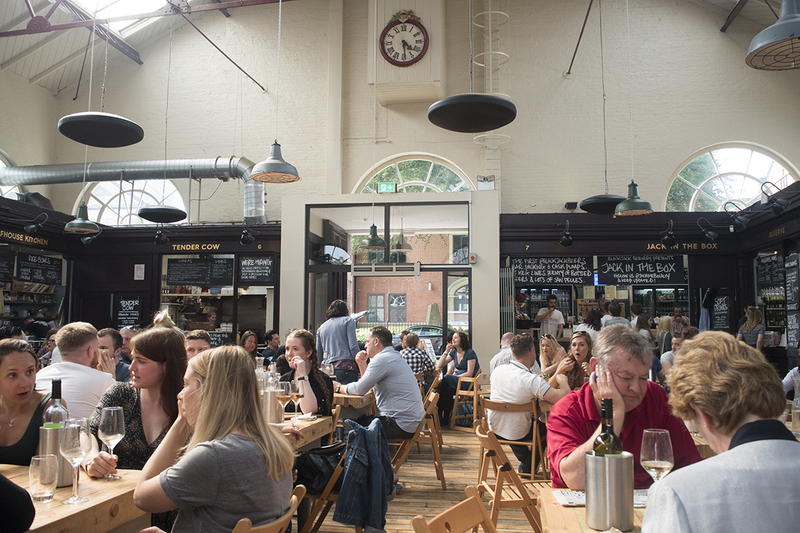 Have you visited Altrincham Market before? If you’d like to find out more, check out their website here.